Home Technology News GoPro Hero6 – Whats New? We, at Multimediaboom have been talking about many other topics for very long. So, this time let’s get to something that is very interesting. 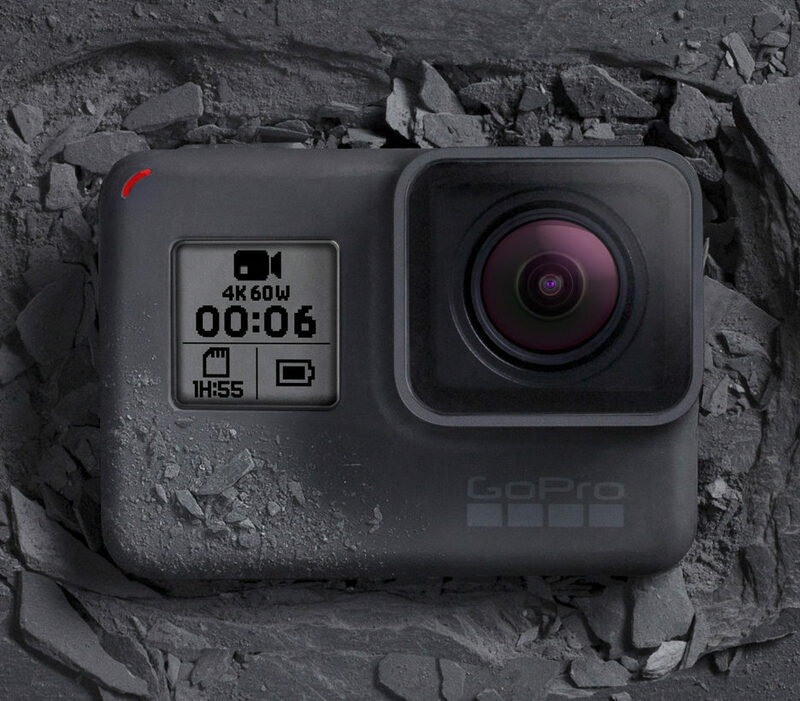 We know GoPro Cameras are common, but GoPro Hero 6 is a new release that was launched on September 28,2017 after GoPro Hero 5.And, obviously it should have new features. So let’s see what’s new in GoPro Hero6. • Most expensive GoPro Hero to date. From a design perspective, nothing has changed between the Hero 5 and Hero 6 except the external “6” markings. It also has the same grippy, rubbery material running all the way around the edges. The LCD on the cam is small, bright and angles are strong which is a bonus for outdoor shooting users. It’s easy to access the correct area of the screen by tapping on the icon to change settings and navigate through the menus as the touch input works well. A secondary monochrome LCD is located on the front, next to the lens. It shows the mode, video resolution, frame rate, and angle of view, along with battery and memory card capacity, and recording status if you have the camera mounted facing you. The Hero 6 is waterproof ,same as Hero 5 that didn’t need extra waterproof housing. 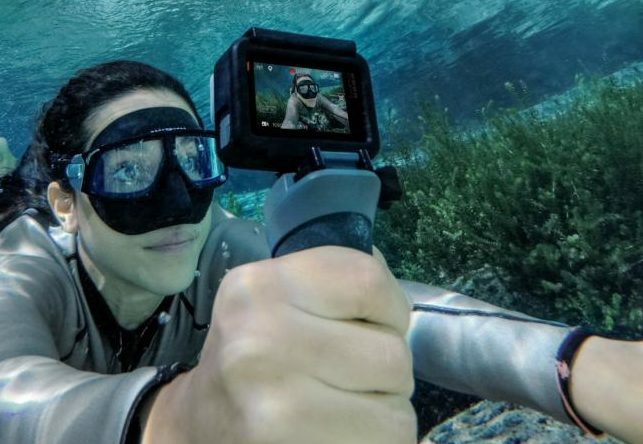 The fully waterproof cam can be used for any above or under-water activity up to 10 meters,without any damage to a clear cut image through its lens. It is seen that the recording capabilities of Hero 6 is improved. Delivering the resolution of 4K will be a real focus of the GoPro Hero 6. 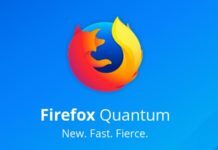 It records 4K video at 60 frames per second as anticipated and is an attractive proposition. It is also seen that the capability of Hero 6 for faster slo-mo recordings with 240 frames per second is also an outstanding breakthrough. 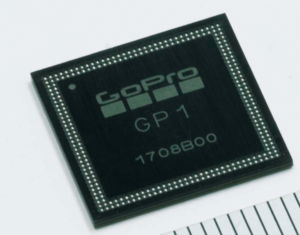 Up next is that the new GoPro is custom-designed with GP1 processor. This allows the Hero 6 Black to capture higher resolution from the previous release. It offers double and better performance than Hero 5 Black. The Hero6 also responds to voice commands. You can run the camera off on an AC outlet or power bank via USB. USB-C and micro HDMI ports are located on the left side that is protected by a waterproof and removable door. Setting up the app is very simple through Bluetooth pairing. The camera shows the Wi-Fi SSID and password on its display. The GoPro secures its network with numbers and short words. File transfers are also supported. It’s primarily a video camera, but the Hero6 can also capture still photos. GoPro Hero6 files currently load in Photoshop CC, but Lightroom CC cannot import them. Regardless of which resolution, field of view, and frame rate you choose, you can let the GoPro take control over video, or adjust settings by enabling ProTune.